Time to say goodbye... To another outdoor season. Even though we only printed four issues this season, it felt that time was just flying by. We are going now in our summer break until the next issue which will be in October 2019. It would be too good to be true if we could actually enjoy an almost six-month long break but it is not really a break, we are just setting out the magazine print for the hot summer months but will still be available for anything online. For the coming season we are looking for more partnerships with individuals, events and companies to load the next issues with amazing content. After being able to run the magazine as a business for almost 10 years, the current market conditions don’t allow this anymore. We are back to the founding spirit of “DRIVEN BY PASSION FOR THE OUTDOORS” and not by profitability. Of course, we still need to get funding to get it printed but with a less business-oriented approach, it opens up a lot more opportunities to cooperate. Nowadays most companies or individuals are short of money so we will value and consider any type of contribution and weigh it in as cash value. 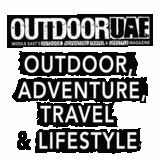 So, if you have ideas for the outdoor season 2019/2020 drop us a mail to editor@outdooruae.com and share your ideas. Say hello to new and exciting content for the coming season. Get to us on Facebook! © 2019 Outdoor UAE FZE Reg. at Creative City Fujairah P.O. Box 4422, Fujairah, U.A.E. The information contained is for general use only. We have made every attempt to ensure that the information contained in this magazine has been obtained from reliable sources. The publisher is not responsible for any errors. All information in this magazine is provided without a full guarantee of completeness, accuracy and chronology. In no event will the publisher and/or any of our affiliates be held responsible for decisions made or action taken in reliance on the information in this magazine. All contents are copyrighted and may not be reproduced in any form without prior written permission. WHEN YOU’RE DONE READING, PLEASE RECYCLE! The Abu Dhabi International Hunting and Equestrian Exhibition is evolving. From establishing itself as the only dedicated event in the region for its hunting and equestrian community, ADIHEX is now transforming into an iconic global platform bringing together thousands of local and international end users, traders, high networth individuals, VVIPs and dignitaries from around the world and Rulers and Sheikhs of the UAE and other GCC countries, protectors of the sustainable hunting sector on the lookout for the latest products and services in hunting, equestrian, falconry, marine and outdoor sports and cultural heritage preservation. BEST SHOTS Here are the best shots sent in by you for our magazine photography competition! Thank you for all your entries, they were all great and it was hard selecting the best photos this month. Congratulations to the top three. The winner will get a Columbia back pack and the two runner ups will get a cool outdoor bracelet. All three will also get free magazine copies sent. Well done! To submit your entries, simply email us at competition@outdooruae.com with the subject “Best Shots.” Follow us on instagram and facebook to find out what will be up for grasps in the Oct. - Nov. issue. 27th edition of DIBS draws to a close with exhibitors reporting huge interest in yachts – and marine sustainability The region’s biggest and best boating festival closes with international boat builders praising local market – and buyers keen to go green! The 27th edition of the Dubai International Boat Show (DIBS) came to an end Saturday (2nd March), with many exhibitors reporting strong sales – including debut deals for the world’s first “flying” yacht, born and developed right here in the UAE. To stay up to date about the 2020 Dubai international Boat Show, visit www.dubaiboatshow.com. Breathtaking 2019 Red Bull Cliff Diving opener at Palawan Island in Philippines Reigning champions Gary Hunt and Rhiannan Iffland showed they are in no mood to give up their Red Bull Cliff Diving World Series crowns as they won the 2019 opener at the new, stunning El Nido stop at Palawan Island in the Philippines. Here is all you need to know: • Briton Hunt claimed his seventh title in 2018 and Australian Iffland her third in a row, however they had to fight back to win after Friday’s opening two rounds. Yana Nestsiarava of Belarus, Rhiannan Iffland of Australia and Lysanne Richard of Canada celebrate on the podium at the Big Lagoon on Miniloc Island during the final competition day of the first stop of the Red Bull Cliff Diving World Series in Palawan, Philippines on April 13, 2019. Rhiannan Iffland of Australia dives from a rock pinnacle at the Small Lagoon on Miniloc Island during the first competition day of the first stop of the Red Bull Cliff Diving World Series in Palawan, Philippines on April 12, 2019. Constantin Popovici of Romania, Gary Hunt of the UK and Jonathan Paredes of Mexico celebrate on the podium at the Big Lagoon on Miniloc Island during the final competition day of the first stop of the Red Bull Cliff Diving World Series in Palawan, Philippines on April 13, 2019. Gary Hunt of the UK dives from the 27 metre platform at the Big Lagoon on Miniloc Island during the final competition day of the first stop of the Red Bull Cliff Diving World Series in Palawan, Philippines on April 13, 2019. Rhiannan Iffland of Australia reacts after diving from the 21 metre platform at the Big Lagoon on Miniloc Island during the final competition day of the first stop of the Red Bull Cliff Diving World Series in Palawan, Philippines on April 13, 2019. Havaianas Sunset Open 2019 One of the most anticipated events in the GCC region’s sporting calendar, the Havaianas Sunset Open Surfing competition powered by Rip Curl returned to Dubai’s shores last March 8-9, 2019. As the only surfing competition in the GCC, the event was on its 7th year running and had brought together the best surfing talent across the region. “Everything lined up perfectly this year. One of the most challenging aspects of surfing contests is making the right decision on when to run them. We couldn’t have asked for better conditions on our first day. It’s one of the most exciting times of the year for Dubai’s surfing community - we have a surprisingly strong surf history here and we’re proud that there’s so much great talent in the region. Martina Bravencova secured victory in the ladies finals after a big tussle with 2018 world champion Aneta Šacherová. Former NHL star Petr Prucha on his way to the men’s title. PRUCHA CLAIMS VICTORY AS ABU DHABI LAUNCHES MOTOSURF WORLD CUP SEASON IN STYLE Former NHL star says UAE capital gives series new dimension Petr Prucha, the former Czech professional ice hockey player whose NHL career was cut short by injury, believes Abu Dhabi is a perfect fit for the latest addition to its international water sport calendar. Prucha, the ex-New York Rangers and Phoenix Coyotes forward, was in sparkling form as he won the opening round of this year’s UIM MotoSurf World Cup as the UAE capital welcomed the series into the Middle East for the first time at the weekend. After eclipsing defending World Cup champion and fellow Czech Lukas Záhorský with back-to-back race wins in the men’ finals, Prucha said: “When we found out that the season was starting here we were all very happy because we had heard so many good things about Abu Dhabi. Sheikh Mohammed with men’s winner Petr Prucha, runner up Lukas Záhorský and third placed Sebastian Kubinec. Rocks and Rain After running the wet rocks, we have a solid 10km to recover before the next obstacles. Fortunately, Urban Ultra manages to keep things interesting with a solid dose of rain that scares the camels as we continuously run uphill. You’re an optimist if you think after scrambling so much that the uphills lead to runnable downhills, as the trails are too steep and have been washed out. After CP3 (+/- 32km), the beauty of Mount Sana appears in the form of a steep boulder field. Imagine climbing boulders bigger than most cars and jumping between them up an inclined wadi, with precariously situated rocks in heavy rain. That’s a great feeling which outweighs the frustration of making some poor decisions in the fog of an ultra. Unfortunately, a decent sized group of us gets tagged out at the CP4 cut-off – I won’t name any names, but don’t ask Ramzi, Niall or Stewart. Those who get through CP4 go on for some really strong finishes: Pornsak runs two hours faster than 2018, and Jeremy is three hours faster than 2018. Well done, boys! mountains or even real rocks to run on, so I ask him what the secret is in his first place finish. Pierre says: “I’m French. Unless I have to use my hands to climb, I run. I run up the boulders. I run down the scrambled rocks.” Ugh. Such a simple strategy, but I think he is reasonably fit as well. I think the secret is just getting really fit. Winter in Poland is not good for kiting - (Air temperature around zero degrees, water around 4, and sometimes it is snowing. They were under under the supervision of our coach Blasco Ozog, this time also taking part in the race. The Polish crew was supported by Magda Woyciechowska and Michal Wojciechowski. 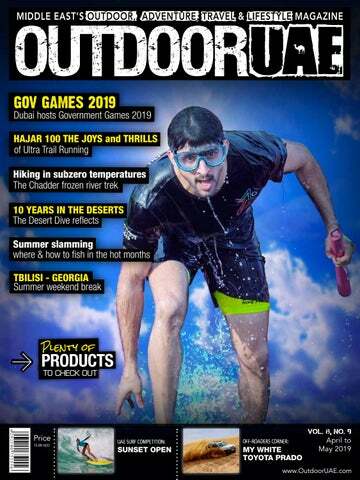 The Gov Games is an initiative launched by Sheikh Hamdan bin Mohammed bin Rashid Al Maktoum, Crown Prince of Dubai and Chairman of the Executive Council, in 2018, as a first of its kind government competition to promote creative collaboration and reinforce team spirit among government employees. The official motto is “1 Team 1 Spirit” (official hashtag #1team1spirit), to highlight the teamwork needed to achieve excellence in the professional and sporting fields. This year’s event was open to the general public for both ladies and men’s teams. of the office. Your co-workers become your teammates, sweating and straining alongside you towads a common goal: to complete the course. You push others as well as you must push yourself. It’s exactly this can-do attitude, this ability to succeed, and the desire to win that has built the still young UAE into what it is now. That’s why the Gov Games matter. The Gov Games spanned over four days from Apr 3rd - 6th on Dubai’s Kite Beach, with a total of 168 local, federal and international teams competing. 80 per cent of teams were returning from 2018 to this year’s Gov Games; international participants from Saudi Arabia, Bahrain, Egypt, Jordan, Tunisia, US, UK, Thailand and Armenia have helped expand the line-up of participants to 168 teams – up from 150 teams in 2018. The expanded Gov Games was a collaboration between the General Secretariat of the Executive Council Dubai and Dubai Sports Council. Sheikh Mohammed bin Rashid, also attended the second edition of Gov Games; Sheikh Mohammed was briefed by Marwan bin Issa, the Games director, about various obstacles and levels of the competition. Sheikh Hamdan, led by example by taking part in the event with his team. He watched the 62 female teams take part in the heats of the Games on the first day of the event, before announcing he was increasing the prize pool. The respective men’s and women’s Gov Games champions each won a top prize of Dh1 million. The second team in each category received a prize of Dh300,000, while third-place finishers received Dh200,000 per team. During the final day F3 men’s team finished the Battleship obstacle course in 24 minutes. The women’s team finished in 22 minutes, but with a ladder to help the climb of the curved wall and less weight to carry. Adventure HQ and Sport In Life host ladies bike training event It is exciting to see such a growing community of women who love cycling in the UAE! In advance of the upcoming Al Marmoom Women’s Cycling Challenge, Adventure HQ partnered with Sport In Life to invite members of the Dubai Ladies Club and other cycling groups to attend a ladies bike training event at Time Square. The event was led by US Triathlon Coach, Mary Kelley, at Adventure HQ in Times Square Centre on April 3. Mary Kelley has over 15 years’ experience in triathlon and runs a coaching school in Al Ain. The training featured a variety of different tips and skills for female cyclists of all levels, ranging from the amateur to the advanced cyclist. Key topics included how to choose a bike, bike essentials, clothing, nutrition and most importantly safety on the road. Under the umbrella of the Dubai Sports Council, Al Marmoom Women’s Cycling Challenge promotes women’s aspirations in the UAE and encourages women of all ages and abilities to participate in the region’s only cycling race dedicated to women. Urban Ultra has been the pillar of ultra-running in the Middle East for years, with a deep range of trail running events to include UTX50, Big Stinker, Mount Sana 60, Mleiha Dash, Kalba Kickr, and Hajar. To entice new runners – road runners, novices, and even those tri people – to the trails, Urban Ultra has expanded its repertoire to include shorter distances at their events. The fields are expanding with a couple hundred runners showing up for Hajar 30, Hajar 50, and Hajar 100 in February. The Hajar 100 is the top ultra-trail running event in the region, requiring a balance of fitness, endurance, mental toughness, and preparation. trail running does require its share of equipment, in addition to the mandatory kit. This year I decided to bring running poles with me – a good decision. The most basic omission of equipment may have unforeseen consequences: socks. When I go through all my kit at the hotel before the start, I notice that I forgot my preferred running socks and have to run in wool socks. No biggie, I figure. Uh huh. not move, causing me to perform a graceful headfirst swan dive with perfect technique, as my body is parallel to the ground. Before landing, I manage to let out one four syllable word (or is it two words?) for what seemed like eternity. I am relatively fortunate that I caught myself with my hand, although less fortunate that the rock punctured my palm. (For non-trail runners: my fall is not more or less spectacular than other people’s falls. They happen.) I writhe in pain, when I realize that I am stuck on a narrow downhill trail on my back like an upside-down turtle: to my left are big rocks and to my right is a beautiful dropoff (similar to the photo on the left, often referred to as a cliff). My options are limited to somersaulting over rocks down the hill or doing a full body extension sit up. Both require a strong core which I lack, so I decide to play to my strengths: I scream like a baby, until that guy Robert comes back and picks me up. Thanks, Robert! CP3: Running the ridge The trail follows a ridgeline for 8km, then a dirt road 10km down a mountain. The sun is up with majestic views. Olya, Heidi and I are enjoying the nice weather, which is relatively cool. We come across more people than usual because of the new 30km distance, which is fun – until you do the math (100km – 30km = 70km left to run). At CP3, Dr. Jaouad and Dr. Matt gave me some antiseptic for my punctured hand. Brendan is at the water stop just before the big climb, with his kind words of encouragement. CP4: The Curse The 12km from CP3 to CP4 are dreadful. We all know it, because this is what makes Hajar epic. David T joins us at this point as we tackle the beast. We all have different strengths, but together we are stronger than if we try on our own. This is a certain pleasure in the brutality of this climb, with so many positive thoughts, and all negativity is focused on the lovely organizers and their cut-off times. We climb for over an hour up a steep trail with no respite, constantly looking for the top. Once we reach the top, the trail continues up a less steep trail that is scattered with rocks. After another hour, we make it to the village which means we have another four hills to climb up and down. The views are awe-inspiring, but also demoralizing because you see the never-ending climb ahead. When David T and I make it to CP4, Heidi is already there, but Olya unfortunately misses the cut-off by two minutes. CP5… In 2018, Urban Ultra added an extra 2km to the route taking us off asphalt to a ‘trail’ that goats find too rocky and steep, which is the source of my ‘Hajar anxiety’. Heidi, David T and I are all within 100 metres of each other on this section, yelling encouragement to make the cut-off on time. At some point after being out on the trail under the sun for over ten hours, my lack of preparation finally catches up with me: my wool socks are sticking to the bottom of my feet causing me a high level of discomfort as I run recklessly down the nasty rocks with constant flashbacks of my fall at 12km bouncing around in my head. I feel blisters but every minute is precious, so I compartmentalize the pain to get to CP5. blistered toes. My Oman by UTMB buddy Aaron spends the day at CP5 with his two boys and is a hero for the cold Coke Zero, which I cherish. After eating, I get going by myself just before sunset. share our underwater world through motion pictures and deliver a better understanding of the habitats and surroundings. The event, now going into its 10th year, sees the continuous and steady growth of new underwater photographers taking part and joining our regular yearly participants. The enthusiasm and passion strive on, and the drive to bring our underwater world’s conservation to the forefront increases over time. The purpose of Digital Online is to keep our underwater world visible by displaying its hidden beauties and to exemplify its importance to all life on Earth through the powers of its ecosystems. Chadder Trek - ‘Chadder’ in Hindi means ‘Sheet’, so you’re literally hiking on a frozen ice sheet in sub-zero temperatures. group experienced mountain sickness in some form or the other - headache, nausea, loss of appetite etc. Thankfully nothing serious happened but some were still feeling clumsy on the third day when we had to undergo a basic medical test to get the trek permit. After a short but bumpy 2 hours bus ride, our expedition team of 5 hikers, one guide and 4 porters were dropped off at the starting point. Weather welcomed us with fresh snow, dropping the visibility to just a few metres. The porters quickly prepared their sledges and we were on our way with our heavy backpacks. The river is an amazing marvel of nature, completely frozen end to end from the canyon walls. Although at a lower altitude than Leh city, the place was colder than we had expected. Day 1 was rather short and we reached our first campsite in just 3 hours. The hike is relatively flat and easy, it’s the extreme temperatures and slippery ice sheet that makes it challenging. Our porters who are used to this place, reached the site ahead of us and had everything ready when we arrived. One of the benefits of hiking in India is that you get a warm 3-course buffet even in such remote camps. Compared to my hikes in other parts of the world, where one has to be satisfied with sandwiches during day & quick dinners, this was a five-star treatment. The plan to celebrate my birthday in style, under the backdrop of hills and surrounded by stunning harbours right before the clock struck midnight in Asia’s best city turned pear-shaped. Instead, I extended 4 hours till just before dawn – total of 80km with elevation gain of over 4,000 metres. No complaint about legs, I felt like a champion even after putting a strain on the esophagus and upper respiratory system – that nearly caused my throat tissues to tear. The joy of finishing was never overrated in endurance running when many things could go wrong. I reached Lead Mine Pass just after sunset, and carried on to Fo Tan, when the scenery suddenly changed. It was great to be in nature for several hours and being away from skyscrapers, but seeing the city lights hinted the finish line wasn’t that far away. I ran into the city, and several times waited for the traffic light to cross the roads. The flat run along the stretch of Shing Mun River was the easiest part of the course. Not long after, climbing a short section with rope and then hiking up a very steep hill climb wasn’t made easy when the rain poured heavily till I reached Ma On Shan. After that things went downhill, despite the rain stopping for rest of the night. via trail and peaks? Check out the race details below. didn’t consume though). And then there’s the lovely crew at the finishing line, who offered ginger tea which helped alleviate my condition. Do It Again? I would love to return for the 100-miler race to climb the 3 highest peaks; Lantau Peak (934m), Tai Mo Shan (952m) and Victoria Peak (552m). Also, I like the sound of crossing the harbour twice, once on both ends. If you fancy a multi-stage race, consider the 3 days challenge or check out other shorter races. Last but not least, I was glad to know that more than 10% of my race fee went to my chosen local charity – Food Angel, a food rescue and food assistance program to reduce food waste, alleviate hunger, and relieve poverty. A mega challenge never before attempted by any adventurer, spanning twelve months and more than twenty thousand kilometres, from the Amazon to the south of Brazil, the extraordinary project “6 Hard Xpeditions” was a scientific-exploratory journey with an innovative format on the world stage. It is part of an even greater challenge that will be realized from 2020 to 2021. It will also go against the “outdoor market” by avoiding clichés - such as Everest, Seven Summits, diving with sharks, etc. According to important journalists, advertisers and athletes, this was one of the greatest multi-sport expeditions ever held. Normally expeditions are not performed in sequence. When they return from a great endeavour, adventurers need months or even years to leave again, due to the numerous logistical procedures (training, research, authorizations, etc.) and the high risk, cost and physical and psychological wear and tear. In addition, each explorer has a unique specialty, such as a climber that concentrates only on mountaineering techniques or a paddler that is limited to some mode in sea or rapids. of kilometers carrying 15 kilos while being hurled against sharp walls. They paddled against strong winds and currents, wallowed in muddy waters infested with snakes and alligators and sleeping overnight in areas with the highest concentration of jaguars in Brazil. They were also punished with large bruises and severe injuries, bearing thermal sensations from -10 to +45 ºC, suffering from thirst or sipping water from unhealthy ponds, frightened by buffalo or sneaky alligators and hunters. And what is even more incredible, as is common in their explorations, while fighting against extreme fatigue and to stay alive, they still developed valuable research and environmental actions. They uncovered inventories of species, caves and springs and conducted a chemical analysis of the water quality of streams, rivers and seas of the area. For 16 days the couple paddled hundreds of kilometers for a route considered impossible even by experienced hunters. Márcio Bortolusso The 115 kilos of cargo used in the 10 days of the Canyoning expedition, one of the biggest explorations of waterfalls of the World. Márcio Bortolusso Hands destroyed after 10 days of hard work in one of the most dangerous terrain of the Brazilian Mountaineering. Learning to offroad was not always easy! I formed Oasis Offroad. I love teaching people the basic steps in offroad driving and I think that over the years, at least 500 people must have taken their first trip in the sand with me. Once we had enough Oasis Offroad drivers who were competent in self-recovery then the Liwa listing trips started! Oasis Offroad still flourishes in Al Ain, led by my friend Mike Galvin and you can read about the club in OutdoorUAE October 2015 edition. slimmed down my camping kit which takes up less room and clatters less when going over dunes – I have also created a firebox with silicon gloves, firelights and of course an all important lighter! It’s taken some years bt Iike to think I have perfected the art of camping in the dunes, and over the years have delighted in taking many friends and customers out for a night by the campfire, under a canopy of 5 million stars. 5) Motorsport marshalling In 2011 I signed up for a day›s marshalling at the Abu Dhabi Desert Challenge; little did I know how much it would change my life! I enjoyed it so much that after the initial day I opted to stay on for the rest of the week and this event has been a fixture in my calendar ever since! The ADDC is arguably one of the most difficult events in the World Cup for Cross Country Rallies series with almost all of the offroad route sections crossing sand dunes and it is wonderful to see the very best drivers in the world take on the Abu Dhabi desert. Marshalling is a great way to get close to the action and through my involvement in this and also the Emirates Desert Challenge I have met many interesting people, discovered long distance desert driving and discovered a whole new passion! beautiful, relatively quiet city. It should be on every Middle Eastern expat’s bucket list for at least two visits, one in the cool summer and one in the slightly warmer than the UAE mid-winter! During the Khareef the atmosphere is amazing as Gulf Nationals visit for up to a month to experience temperatures up to 30C cooler than their home towns and to enjoy the rain. As a Scot who hates rain, it always amuses me to see them enjoying picnics during the drizzly weather! One disadvantage of a summer visit is the lack of visibility in the mountains which form a crescent to the west of Salalah; often you are driving inside a cloud so cannot appreciate the beautiful landscape! For this reason a visit in the winter is a must – the winding mountain roads rising out of the city have beautiful vistas at every turn and although the grass may have withered somewhat the trees are still green! My favourite way to get there by road is via the coastal route from Muscat (see OutdoorUAE May 2017) and offroad, by following Mike’s route (see OutdoorUAE Dec 2017). 9) Jebel Akhdar in the summer I was first introduced to Oman’s Green Mountain by an Emirati friend and was amazed that even in September the temperatures were low and astounded by the number of baskets full of huge red pomegranates for sale by the side of the road! I have been back many many times including trips in October, January and March – as someone who dislikes cold weather it is definitely better to visit during the height of the summer. There at 2000 metres above sea level you can enjoy clean crisp air, temperatures 20C cooler than Dubai and Al Ain. Nights can be cool too - if you have never been it is hard to imagine the need for a campfire, jackets and a thick sleeping bag at 23 degrees north of the equator but trust me, you do! To get a taste of what Oman’s Green Mountain has to offer, check out my articles in June 2016 and December 2018.
maze with them as the backdrop is an unforgettable experience. The Rub al Khali has been an obsession since I first read about it in Wilfred Thesiger’s Arabian Sands and a trip to Saudi to reach the largest part of it is one of the few things left on my Middle East bucket list! Since November 2018, Gulf for Good has organised and led 16 hikes in the UAE for 540 individuals and four corporate clients, raising over Dh47,000 for their charity projects for children in need around the world. check out individual activities, join their annual soulFIT training programme, or register for your next once-in-a-lifetime adventure challenge! And best yet, all funds go directly to supporting Gulf for Good’s charity projects around the world. To date, Gulf for Good has raised over $3.5million fuelling 56 sustainable children’s charity projects in 29 countries. Don’t miss their party on May 1, 7pm at the Jumeirah Islands Club – Barrel 12, where they’ll be launching their 2020 bucket-list challenges, handing out some incredible prizes such as free challenge places, soulFIT memberships and t-shirts and more. As always, everyone is welcome! Ripe Markets Beat the heat this summer with the Ripe Market! This summer we are going indoors to beat the heat and we couldn’t be more excited! The perfect place to spend your weekend stocking up on local organic produce, browse the offerings of some of the regions most talented artisans, crafters, jewellers and designers and continue enjoying our community market experience without the heat. The Ripe Market will have a key presence throughout Dubai in several locations -some of which we have been in before, others being brand new. We’re bringing the alfresco market experience inside. Wander around the market stalls of some of the cities local artisans and designers and enjoy this community shopping experience. Each week you will find a selection of over 100 local businesses selling everything from organic skincare, leather handbags, and rustic homeware, to handmade jewellery, unique fashion, Art, baby clothes, home interiors and children’s toys. The indoor markets will also be the perfect place for Dubai residents to shop for all their organic essentials from Ripe. Each week we will have fruits and vegetables, pantry essentials like eggs, local honey, dates, coconut oil, tea, dairy free, gluten free, coffee, juicing boxes, superfoods and more, and chat to our friendly Ripe team about organic farming and recipe ideas. • 2 tsp maple syrup • ¼ tsp seas salt Method: Place your ice cream mixer bowl in the freezer overnight. Drain and rinse the cashews, place them in a blender with the cashew milk and blend until smooth. Add the remaining ice cream ingredients and blend until well combined Transfer to a container and freeze for at least two hours Place in ice cream mixer and churn as per manufacturer’s instructions While ice cream is churning, make the caramel sauce. Drain and rinse the cashews and place them in the blender with the remaining caramel ingredients. Process until smooth. Once ice cream is at desired consistency, add caramel sauce to ice cream and churn for a few more minutes. For best results, serve immediately. We, at The Cycle Bistro, believe that the Paleo Diet is a lifestyle, not a trend that comes and goes. Our meal plans offer you a balanced lifestyle that is delivered straight to your door. Our chefs have developed the menu to ensure that you are receiving the highest quality ingredients, packed full of nutrients. The menu offers enough diversity to cater for all types of diets, from vegans to meat-lovers. Each meal is based on a portion controlled formula to ensure that you are receiving all the nutrients your body deserves. Step 2: Place the grilled aubergine on a tray and let them cool down, slice into julienne and set aside. Step 3: Cut the onions into quarters sautee till soft and translucent add honey and let them cool down in a separate bowl. Step 4: Cut the pomegranate into half scoop the seed and place in a separate container. Step 5: Wash and sanitise the salad mix, dry with a sald spinner or on a dry kitchen cloth. Step 6: For lemon dressing, slice the fresh lemon, peel the skin and remove the seeds, use only the flesh, place on the heat, add tumeric and bring to boil. Step 7: When the lemon is soft, add honey let it cool down and blend in a food processor. Step 8: Strain the dressing and place in a squeezy bottle. Step 9: Combine the ingrediets in a mixing bowl, dress using the lemon dressing, plate as per the picture and serve cold. Step 1: Clean the aubergine, slice lenghtwise, add olive oil and char grill. blood red in color with dark tinted windows. But it is bound to go through some modifications in the near future. Do you have something that you consider to be a special feature of the car? This car is safe due to its reinforced beams, anti-skid systems and solid 4x4 capability with its traction. Its ability to tackle tough terrains, the open roof option and its power are additional points. It’s a well -balanced 4x4 that offers both off and on-road possibilities with an affordable pricing. Also, the modifications and upgrade options are limitless with a Wrangler. What were your other options before you brought this car? We looked for many other 4-wheel drives but somehow the Wrangler always came out in the lead. a very reasonable fuel consumption when driven reasonably. So you feel refreshed with over two thirds of a tank left when you reach Liwa. Power to weight ratio for the dunes is almost unmatched in a standard production vehicle with the 4.0 V6 engine and with tyres down to 8 psi, my only limitations are nerves and focus. Fold the rear seats and you have plenty of room for a 5-day camping trip with the missus to Masirah. Fold all the seats down and you can lie almost completely flat for a comfortable sleep. I keep an accurate and detailed log of costs to the car and it costs me about Dh1 per km to run (including registration, fines, fuel, maintenance, repairs, etc.). In a nutshell, I have yet to come across a vehicle good enough to replace my Prado. Want your 4X4 to be the next feature? Just send us an email at editor@outdooruae.com with the subject “Off-Roaders Corner” and you and your car might just be the next one on this page! Available at Toys R Us & Virgin MegaStores After roller skates, inline skates and other fun mobility products in the past, the Segway Drift W1 is a new trendy way to move and have fun in a way that you haven’t ever before. Dare to stand out with e-Skates that are stylish, cool and fun to master. Gliding, spinning, dancing or doing tricks – the possibilities of how the Segway Drift W1 can be used are endless. With a total weight of 7kg Segway Drift W1 is portable and can be carried around easily in one hand or in a bag. Pre-attached poles make setup a simple matter of unfold, extend and secure, so your cabin and the integrated, vented rainfly are ready in about 60 seconds. If it rains, the WeatherTec™ system and its patented welded floors and inverted seams will help you stay dry. Inside, there's enough room to stretch out on a queen-sized airbed, and two storage pockets help to keep small items organized. Keeps the Ice up to 5 days at temperatures up to 90 °F Xtreme technology uses an insulated lid and extra insulation in the walls for longer ice retention. Leak-resistant channel drain for easy draining without tilting the cooler. Have-A-Seat Lid supports up to 250 lbs. for a place to sit and rest. 2-way handles for easy lifting and carrying in a space-saving design. Low CO2 insulation for reduced carbon emissions from foam manufacturing. A perfect pair for spring and summer hikes - keep your feet comfortable, light and flexible with Velan hiking boots, new for SS19 from Vango. Lightweight summer boots with waterproof outer layer and comfort on the inside; with flexible ankle support. Superb all year around performance for local hikes. Waboba tides ball uses color-changing technology to change color in water. Get it wet and watch the new colors flow in like the tide. The wetter it gets, the better it bounces on water. S&B devotes a huge amount of resources to engineer their intakes that allow your engine to run properly with stock calibration or enhanced tuning. The JL intake utilizes your stock air temperature sensor and features an aluminum CNC lathed crankcase breather connection, that ensures a perfect snap-on fitment. Featuring a fully enclosed on piece box design. The lower box prongs integrate with the oem mounting locations to ensure a perfect fit. The Silicone Fender Seal is designed to pull air from the stock location and retains the use of the stock ram air tube. The S-Works Evade shares its roots with some illustrious company, namely, the fastest TT helmet in the world, the S-Works McLaren TT. A helmet that had all the aerodynamic benefits of a TT helmet, only without sacrificing fit or ventilation. At a mere 150 grams, the S-Works EXOS are the lightest cycling shoes to ever come with a Boa® dial. And not only are they ridiculously light, but they still have all the features that are synonymous with the S-Works label, just ridiculously light. • Ultra-light Mindset Hair Port micro-dial fit system with height adjustability for the perfect fit. • 4th Dimension Cooling System with deep internal channels, large vents, • Lightweight 4X DryLite webbing won’t stretch out with sweat or water. • Tri-Fix web splitter for improved comfort and ease of strap adjustments. • Instrap webbing system for ultra-light construction and security. • Body Geometry sole and footbed are ergonomically designed and scientifically tested to boost power, increase efficiency, and reduce the chance of injury. • Lightest FACT Powerline™ carbon plate maximizes power transfer: Stiffness Index 13.0 • BOA® IP1 dial for on-the-fly micro-adjustment, backed by the BOA® Lifetime Guarantee. • Titanium alloy cleat nuts can rotate to position pedal/cleats 5mm rearward. "Aero is Everything?" Aerodynamic optimization is the best thing Specialized can do to make you faster. And this philosophy has never been truer than with the new Venge. Being eight seconds faster than the ViAS, it’s not only the most aerodynamic bike on the road, but it’s also lost 460 grams. The Tarmac SL4 Sport combines all of the complete performance that the Tarmac is known the world over for with the durable shifting of Shimano's 105. Consider it the perfect bike to grow along with you as you explore the open roads ahead. • The FACT 9r carbon frame combines the lightweight performance and compliance of the top-end carbon production methods with a Grand-Tour-winning geometry. • Significantly lighter than comparable wheelsets in its class, these tough DT R460 wheels offer tremendous value in one smooth-rolling package. • Shimano's 105 shifting ensures reliable, crisp shifting, mile after mile. The N70-2 GT is an improved crossover helmet version of series N44. This new Nolan series delivers a highly customizable product, and that is something that we like! It offers the opportunity to adapt your helmet to your riding mood and type of trip, because six different helmet configurations does indeed provide a lot of flexibility! Have fun puzzling with 2 removable elements: visor and protective chin guard, and create the combination you desire. All combinations have been carefully tested by Nolan and are P/J homologated. And if this did not convince you yet, the N70-2 GT is also equipped with an ultrawide visor (Pinlock included) and a LEXAN TM sunscreen that is both scratch and fog resistant, as well as adjustable and removable, providing you optimal visibility during sunny riding hours. ACH-1, the world’s first self-contained air-conditioned motorcycle helmet now available in our showrooms. The patented full-face ACH-1 evenly distributes filtered, cooled air freely across the top of the head, cooling it by as much as 12-18 degrees from the ambient temperature. This provides a far more comfortable riding experience in warm weather. Available at Al Yousuf Motors Showrooms in Dubai, Abu Dhabi, Ajman, Fujairah, Ras Al Khaimah Point 65 Sweden is a leading outdoor brand in Northern Europe and one of the fastest growing outdoor brands previously been known as Boblbee. The Point 65 Sweden ‘Boblbee Line’ hard shell backpacks double as spine protectors with the highest spine protection certification in the world (TÜV). The Point 65 Sweden packs are perfect for outdoor activities and made for action-filled fun. When cycling, mountain biking, skiing, snowboarding, skateboarding or motor biking, both spine and gear are protected to the highest degree. This awesome pack doubles as the highest rated spine protector (approved by TÜV). It also protects your gear, laptop, camera and other equipment. The improved GTX series features the new Point 65 AirVent, which is part of the back plate design. The special ventilation channels running through the ergonomical back plate keep perspiration to a minimum. Its aerodynamic dome reduces fluttering at high speeds and is water repellent. HOW DOES IT WORK? It applies thermoelectric technology in combination with Feher’s patented Tubular Spacer Fabric to evenly distribute filtered, cooled air freely throughout the interior of the helmet. It is designed to reduce the interior temperature around a skull during hot rides compared to using a traditional helmet. Keeping a head cooler will make your body feel less impacted by the heat and make for a more comfortable ride in hot conditions than riding with your regular helmet. Feher helmet is DOT and ECE approved and covered under warranty for one year from the date of purchase on all manufacturing defects. Available at Al Yousuf Motors Showrooms in Dubai, Abu Dhabi, Ajman, Fujairah, Ras Al Khaimah Aviator 2.2 is all what pros and lovers of adrenaline fuelled offroad rides are looking for to hit dusty and muddy roads with absolutely no concerns. This last-generation Airoh® MX helmet is equipped with all leading-edge technologies making this model a one-of-a-kind product in the world, with absolute comfort, breathability and protection even under the most extreme situations. Airoh is pride to offer consumers a product that is exactly identical to the version used by its champions. It is sold in two different shell sizes with superior 100% carbon/Kevlar composite fibre making it one of the lightest and highest performing helmets on the market to meet the requirements of particularly demanding riders. For ultimate safety, the helmet includes an emergency cheek pad release system (A.E.F.R.). Standard features that come with this model include a wide-field-of-view visor, which is also suited for the use of last-generation goggles, multiple vents, a peak with two different extensions, a Go-Pro® support, covers for upper vents, a kit of spare screws, a helmet bag and a closure hardware kit. The Cova stove features high-grade powder color coating and an enamel coated pot supporter. The safety designed system detects high pressure and separates the gas canister automatically. • The most reliable superline. • Unmatched strength consistency. Built with 13 fibers (12 HMPE fibers + 1 GORE® Performance Fiber in core) to guarantee consistently strong construction with no weak points for reliable braided line during casting, strikes and fighting action. • Improved knot resistance. 13 carrier construction increase the number of fibers at the knot resulting in better knot tying and stronger holding power. • Unmatchable roundness. A single strand of GORE® Performance Fiber surrounded by 12 precision braided HMPE fibers results in a "super-round" line that is smoother, quieter and casts more accurate and farther than other lines. Your LIFE is More Important than the Unsafe Adventures! Summer is the best time to spend a long day in beautiful seas of the UAE. Let’s do kayaking; what about SUP; no, no, we should do wakeboarding or maybe rafting ! We are loaded with options! Have you prepared yourself for sea uncertainties? Let’s explore some safety measures today. STAND UP PADDLING (SUP) SUP is a great, full-body workout. Head to toe, every muscle is engaged in balancing on the board or during the paddle stroke with the bulk of the effort being done by the body’s ‘core’ muscles. SUP is an incredible sport for individuals & for families. Fun Personal Safety & apparel: Board short & rash guard, water bottle, sun block Top Range Product: Jobe Sports Bamboo SUP (Offer: Was: AED 5,245/unit, Now: AED 3,895/unit) *Prices are Inclusive of VAT WAKEBOARDING Wakeboarding is a thrilling water activity. It’s fast, easy and can be done around any water location with suitable waves. KAYAKING Kayak is the perfect option for roaming the sea, fishing, and exploring new and exciting places. It’s a paddle supported boat with a capacity to hold 1 or 2 persons. Boat safety: Before getting into your kayak check your kayak & paddles thoroughly for any repair and maintenance requirement. Personal Safety: Life jacket, half face helmet, wetsuit, gloves, beach shoes, water bottle, sun block Product Range: Winner Kayak is available in a wide range such as: fishing, transparent kayak, touring & racing for 1 and 2 passenger’s capacity. Offer: 1 person touring kayak package (kayak + seat + paddle) Was: AED1,745/ package, Now: AED 1,295/package *Prices are Inclusive of VAT TOWABLE / INFLATABLE With a towable you can share the fun with friends and family..
Watersports is a great outdoor activity so it is highly recommended that you should chose quality products such as JOBE Sports, Rave Sports & Winner Kayak. Get them through authorized dealers such as Al Yousuf Motors where not only quality is assured, but you will find their prices very competitive. You can find Al Yousuf Showrooms throughout the UAE. Please contact us anytime for any additional information. YAS Mall, Abu Dhabi Mall The Point65 Falcon is a fun, versatile, high-performance sit-on-top kayak which, due to its modularity, is exceptionally easy to carry, store and haul. The revolutionary, patented Solo-Tandem-or- more combination is the solution you were waiting for. The RS Air-Glide series derives its shape and dimensions from the new RS composite boards and translates to the highest performance inflatables on the market. This means proven designs inspire the SIC’s Air-Glide inflatable boards for unrivaled performance and convenience. The AIR-GLIDE RS is stiff, fast, and at the end of the day, fits in a small backpack carrying bag which is easy to take to the beach on your bike, in a small car, or fly off to an exotic island. Characterized by its visually striking dazzle pattern, the Pro Staff 97L Bold Edition features a lighter, more powerful Pro Staff frame for players seeking easier swings and playability. A highly maneuverable racket around the net, the Pro Staff 97L delivers the classic touch and feel of this iconic franchise for superior performance. Decorated with cool green space themes and an orange Syncros JR 14 seat and handlebars, the 2019 Scott Roxter 14 is the perfect first bike for a kid. The bike features quality kids pedals, a 480 mm Junior mini riser bar, front v-brakes and a rear coaster brake. This bike is also made with Alloy 6061 with a rigid fork and has a kid’s specific brake lever. Plus depending on the current skill level of your child, the bike comes with detachable training wheels to help your little one get used to pedaling before detaching them when they’re ready. Plus the black on black wheels make your little ripper look stealth. The Party Tent is a great way to get shade for a large group of people enjoying a special occasion in the sun. This beautiful and spacious eight-sided tent measures 5.5x4m. It looks gorgeous with its arched windows and unique high peaked roof. This tent is perfect for parties, weddings, picnics, flea markets, or any other special occasion. If you are looking for some nice getaway destinations over the sizzling summer months, Tbilisi should definitely be on your list. Easily reachable via a three-hour flight from the UAE on affordable airlines such as flydubai or Air Arabia, a weekend is not too short to see the main attractions in Tbilisi. Around 1.5 million out of the 4 million inhabitants are living in the capital and largest city of the country. It is located on the banks of the Kura River. Turkey and Armenia in the south, Azerbaijan in the east, Russia in the north and the Black Sea in the west surround Georgia. The second largest city, Batumi is located on the coast of the Black Sea and will be another destination to visit soon. Travel to Georgia is easy as the visa regulations are very favourable to most nationalities. Ruled by many different nations and with different religious backgrounds, those influences reflect in the architecture and the culture. Tbilisi originates from an Old Georgian term which means ‘warm location’. It was given to the city due to its numerous sulphuric hot springs. or the exhibition of some statuary along the Georgian National Museum. You will also pass the Freedom Square, which is a busy roundabout. I’m not a fast swimmer, but that doesn’t mean that I can’t swim long distance. I only learned to swim when I was 38 years old, 4 years ago and I’m training for my second attempt to swim the English Channel. Don’t leave it down to guess work. When I ask my clients the question “Have you been eating well?” they often tell me “Yes, I’ve been eating good, hardly any chocolate or alcohol etc” which is great to hear, but it isn’t always the case. Last month’s article, spoke about some tips which you can do which will have a positive impact on your overall health. This include: exercising daily, stretch in the mornings and challenging yourself. All are important but you will not see a real change, unless you look at your nutrition. Before I tell you what you should and shouldn’t eat, here’s some basic terminology which you need to familiarise yourself with when thinking about your health and your nutrition. Have you heard of the following? BMR - Basal Metabolic Rate RDA - Recommended Daily Allowance Sound familiar? Do you know what they mean? No problem if you don’t, read on and I will explain. BMR is also referred to as your Daily Calorie Intake. This tends to be around 1500 calories a day for Females and around 2000 calories a day for Males. (For example, this means that as a guy, I can eat 2000 calories a day and not gain or lose weight, but will maintain my current weight). Although, there are some factors that affect this, such as age. The older we become, the slower our metabolism gets, meaning we don’t burn as many calories as we used to when we were younger, so we are more likely to put on weight and gain. Another factor for BMR is our exercise or activity levels. If we are active, we burn more calories but we also need to eat more calories to give us energy to be more active in the first place. Summer came late this year and there are no signs of people stopping. Personally, I don’t stop fishing just because of a bit of sun, ok, who am I kidding, it’s a lot of sun, practically Mercury when summertime fishing, but hey, it has not stopped me since coming to Dubai. the amount of tackle I take with me, it gets narrowed down to the smaller stuff. Soft plastics, small lures and very light jig heads start to get loaded in the tackle box. There are quite a few good lures from different manufacturers; all of my tackle is from Rapala and Storm so most of what you will see in the pictures is caught using lures from those two brands. But of course, there are other brands out in the market and it is up to you to look for the ones you fancy using and one that suits your style and budget. FIND ALL your OUTDOOR and ADVENTURE needs in one place! With almost 200 listed businesses only focused on outdoor activities and related service, the OutdoorUAE online directory is the easiest and most convenient way to find all the shops in one category. All listings are up to date and with locaiton map.